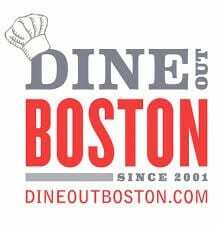 Dine Out Boston is currently underway from August 5-10 & August 12-17, 2018! Many local Boston restaurants participate in Dine Out Boston and you can select one of three price options to offer a prix fixe menu during the restaurant week. Lunch prices are $15, $20 and $25 and Dinner prices are $28, $33, $38. Prices are per person and do not include beverages, tax, or gratuity. Menus are prix fixe so make sure to check out the menus beforehand online to make sure it’s something you’d be interested in. Also, you may want to compare prices to their regular menu items and specials as some restaurants have better deals than others. To find participating restaurants and/or to check out restaurant menus, please head here. Will you be attending Dine Out Boston? What is your favorite Boston restaurant participating? What is your favorite deal?